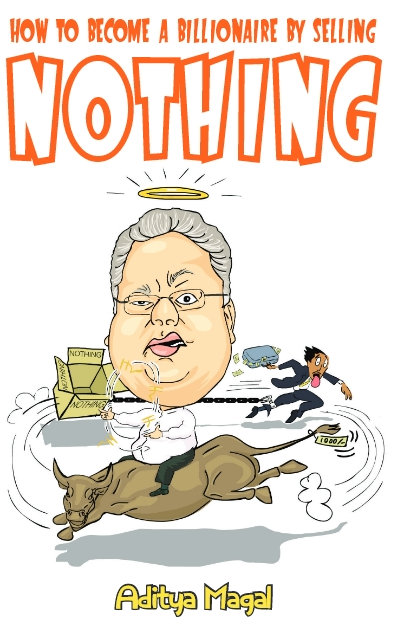 The Secret Journal of Rakesh Jhunjhunwala: Hello, Rakesh Jhunjhunwala Now Comes With 25% Extra!!! Hello, Rakesh Jhunjhunwala Now Comes With 25% Extra!!! There are people who say “ALWAYS GIVE A 100 %” in whatever endeavors you undertake. I’ll tell these people right now that they are wrong! WRONG, WRONG, WRONG and more WRONG Dammit! Whatever I say is right and right now I am saying that one must never give a 100%. Rather they must always give 25%. This is why I made an announcement recently that I intend to give 25% of my wealth away towards charity and the betterment of society. I mean I have so much money that even Mukesh Ambani borrows from me. Who do you think keeps Reliance's shares on the BSE Sensex huh? So 25 percent is not going to affect me much. I can buy this whole planet, this whole solar system, this whole galaxy and if needed the entire universe if I wanted with the remaining 75% and still have enough cash to lead the high rolling, stake holding, gold bearing, diamond owning, yacht sailing, jet riding, snow skiing, Rolls racing, Helicopter flying, Samosa eating, booze guzzling, red carpet pimping, Note crunching Legendary Investor life that I already lead....RIGHT. But this 25 percent will make a difference in the lives of those who need it. I am glad that in a country where poverty is a way of life 1 super awesome fantastic human being jumped forth from the drudgery of the melancholy of society to herald a beacon of kindness and philanthropy to the multitudes of poverty thereby inspiring even the inspired to a state of giving. I am the giver of givers, the kindest of the kind, the coolest of the cool, the awesomest of the awesome and the humblest of the humble! Oh glorious day! I make myself spill tears of joy at the sheer ecstatic pleasurable benevolence of my supremely supreme wonderful mega giving nature. But why 25%? Why not 24% or 26% or even 47.876543901353749407153380245731%?????? Now look at Rakhi Sawant's CHEST AREA WITH 25 % EXTRA. This clearly demonstrates the power of 25 percent. Nonetheless for the sake of convenience I shall re-explain. 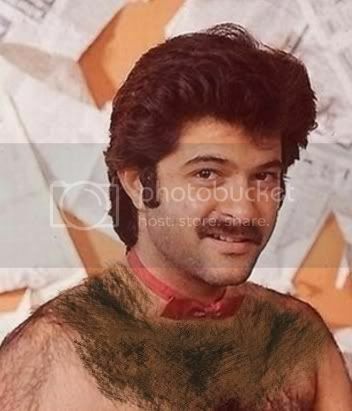 Now look at Anil Kapoor with 25% EXTRA CHEST HAIR. Now look at Sonam Kapoor with 25% EXTRA CHEST HAIR. See! This is why 25% is such a magical figure and it is by philanthropy-izing alone that a suitable tribute can be paid to this wonderfully wonderful harmony of numerals juxtaposed into a percentage syntax. Now watch and listen to this mega danceable song from ‘Heyy Babyy’ which also has 25% more!